90% Of Japan’s Rural Stations Show Cooling Or No Trend Over Past 2 Decades! CO2 not a fan of the countryside! It clearly prefers “polluting” inner urban greens and warming alarmists with UHI! 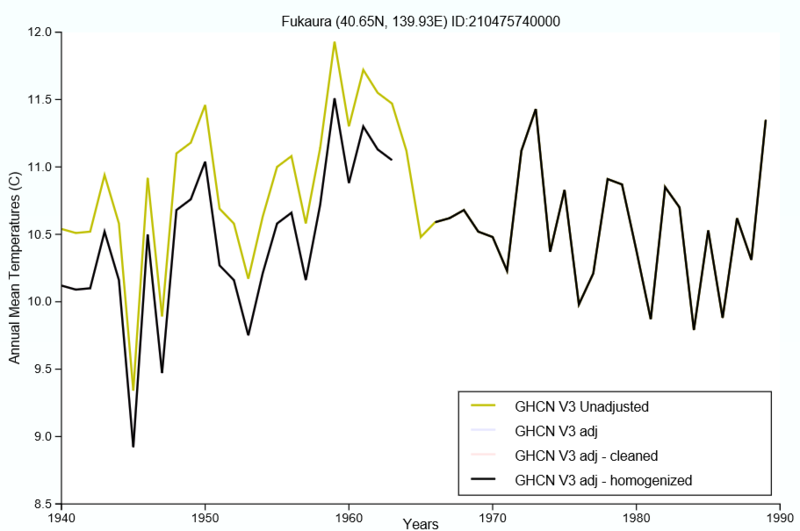 An analysis of the rural-sited Japanese weather stations used by the Japanese Meteorological Agency (JMA) shows there’s been no warming at all over the the past 2 decades or more. Strangely many of these stations, which are practically unimpacted by data-corruptive urban sprawl, are no longer used by NASA. The same, for example, is true for Nikko. THIS is such an underestimated, ‘inconvenient’ and non-reported fact about average global temps as well, in particular land-based GHCN/NOAA station data polluted by UHI. 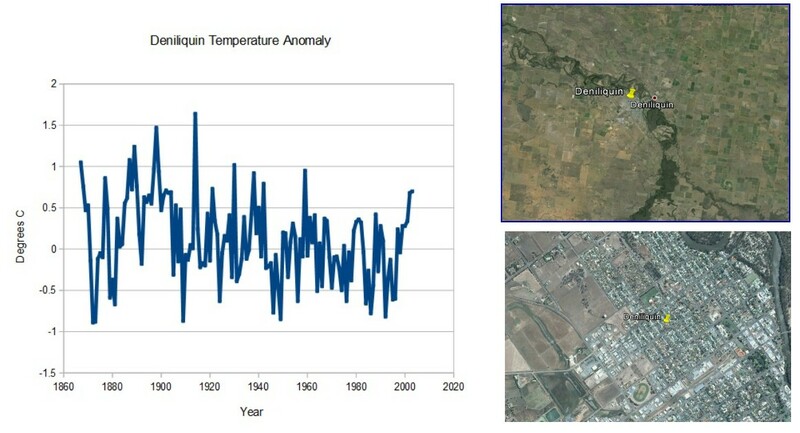 INSTEAD of ‘adjusting’ out the 1-3C differences between urban and rural station data in the latter half of 20th century raw data, agencies like NASA GISS are cooling the past, namely the as warm 1930’s as seen in the US T-max temps in this post. The exact opposite of the adjustments that they should be making to correct UHI caused by urban sprawl. 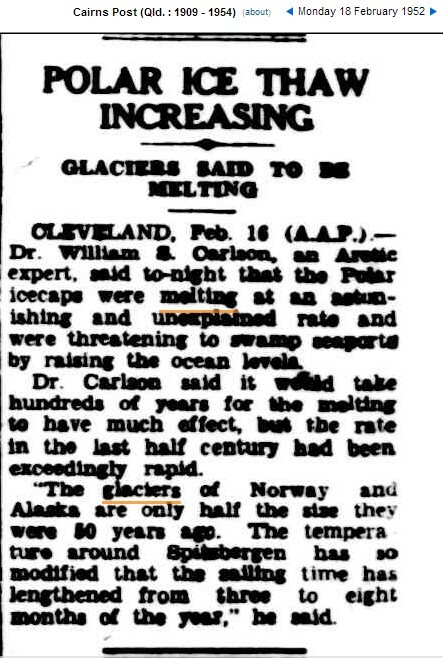 NOT hard to understand why Govt agencies like NASA GISS wipe out the hot 1930’s and leave the UHI polluted current temps – because there would be no man-made “global warming” aka “climate change” problem if todays temps are the same, if not cooler, than the extreme 1930’s temps before human emissions could have had any significant effect on climate. And by hottest i mean Maximum Temperature. Globalists use Average Temps because minimums are skyrocketing because of UHI. Minimums for USA at bottom of this post. 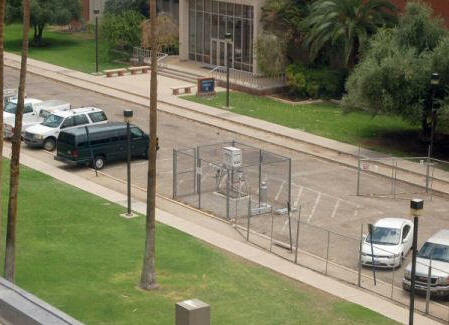 NASA’s MSU satellite measurement systems, generate the RSS and UAH datasets, which measure the average temperature of every cubic inch of the lower atmosphere (0-10 kms), which happens to be the exact place where anthropogenic global warming is meant to occur, according to anthropogenic global warming theory. UAH temperature anomaly for May was almost half a degree centigrade (-0.4C) below the 4o year average! SATELLITES have the obvious benefit of measuring only the atmosphere and the effect that carbon dioxide emissions may be having on the atmosphere. Satellite data is not polluted by UHI (Urban Heat Island effect) – artificial heat generated from city infrastructure; asphalt carparks, airpots, highways, AC vents etc. 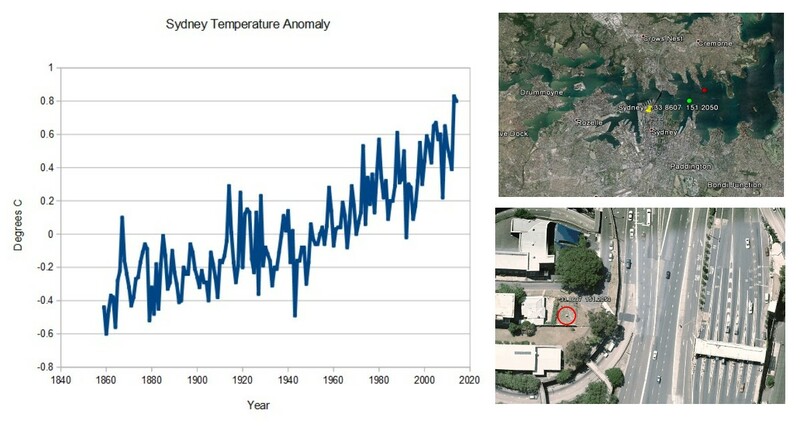 The two urban stations at Melbourne and Sydney both showed strong warming, and both have disastrously poor siting of their thermometers in the middle of large cities. How much warmer has Hong Kong’s urban area become during the past 4 decades? Scientists from Macao Polytechnic Institute are pioneers in exploring urban temperature in Hong Kong using seasonal econometric models. In particular, the characterization of the urban temperature trend was investigated using a seasonal unit root analysis of monthly mean air temperature data over the period of January 1970 to December 2013. Global Warming activists routinely parrot the infamous “Hottest Year Ever” meme. Then there are the much more accurate and comprehensive satellite measurement systems, RSS/UAH, which measure 24/7 the average temperature of every cubic inch of the lower troposphere – the exact place where global warming is meant to occur, according to the theory. The growing divergence between NASA’s GISS and RSS satellite data sets, since 2000, didn’t used to be so stark. So why the obvious temp divergence, post 2000, after near exact correlation from 1979? Tony Heller of Real Climate Science, amongst many other heroic climate realists, have spent thousands of unpaid hours explaining why NASA’s data set has been corrupted by 1. UHI and 2. ‘Cooling the past and warming the present. '(data manipulation) to fit the global warming narrative. 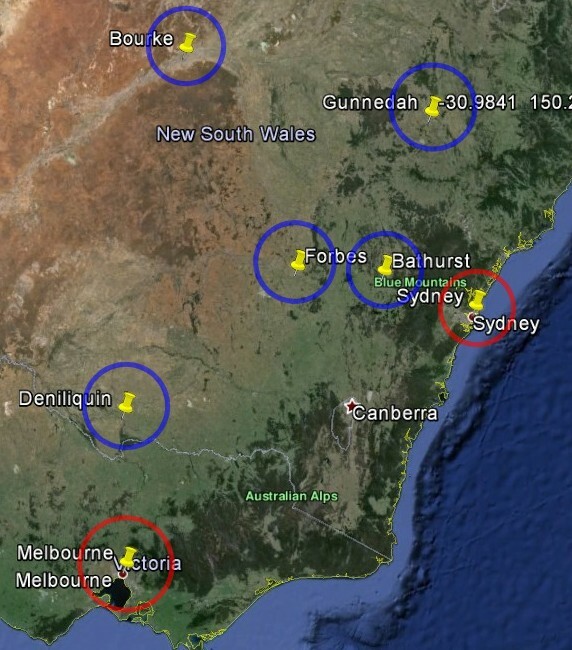 I did a survey of the ten oldest stations in New South Wales And Victoria, circled below. Three rural stations were not included because of obvious problems with the data, but none showed any warming. 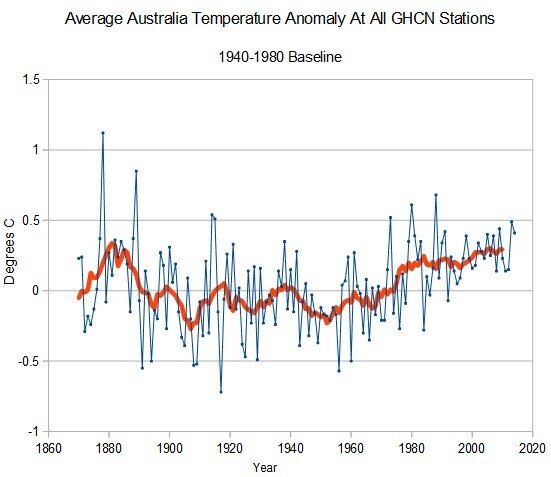 The only conclusion which can be derived from this is that Australia has not warmed long-term, and that BOM claims of record temperatures are due to UHI and/or data tampering. From the “global warming data looks better with heat-sinks and air conditioners” department. 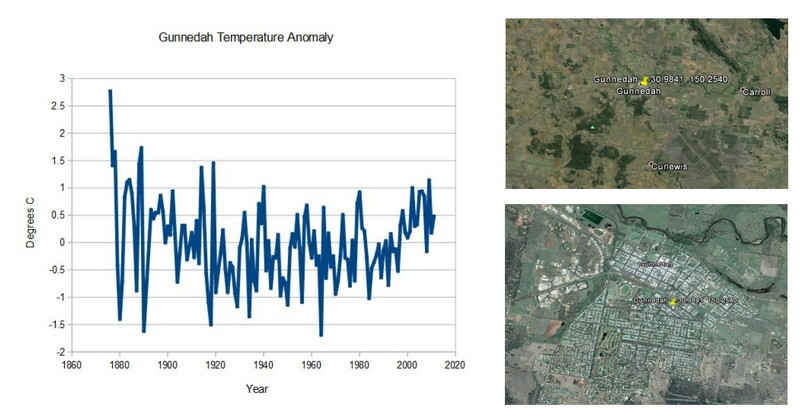 Here is a great example of how NOT to measure the climate! 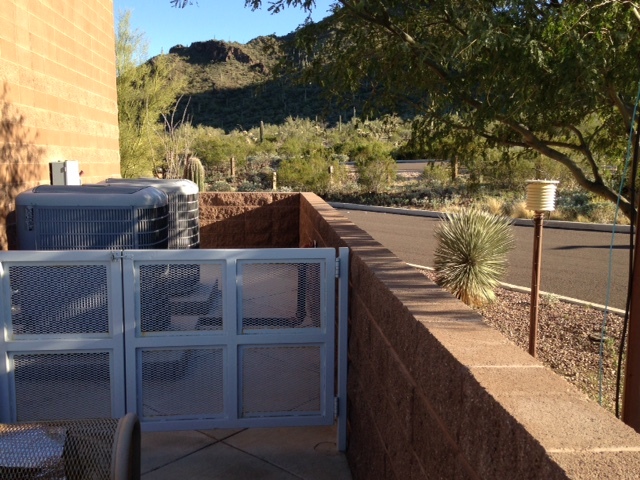 On our way back to Tucson from Phoenix on Monday we stopped by to see the Picacho 8 SE coop site at Picacho Peak State Park. Note the white MMTS temperature monitor 1/3 of the way in from the left. 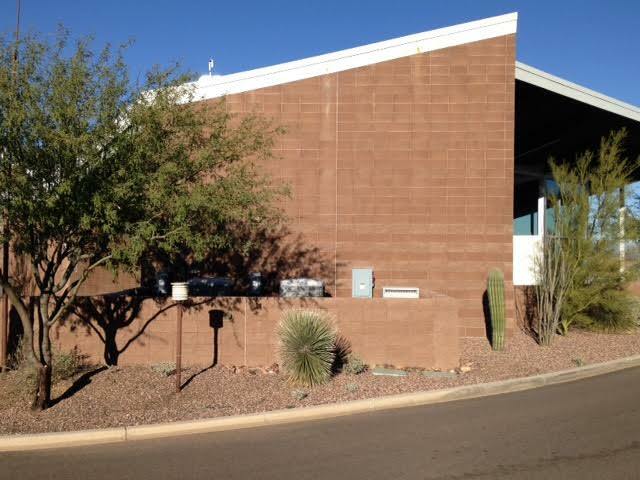 The building is surrounded by the natural terrain of the Sonoran Desert, but instead the worst possible site adjacent to the paved road and SW facing brick wall was chosen in 2009 as the location to monitor temperature. 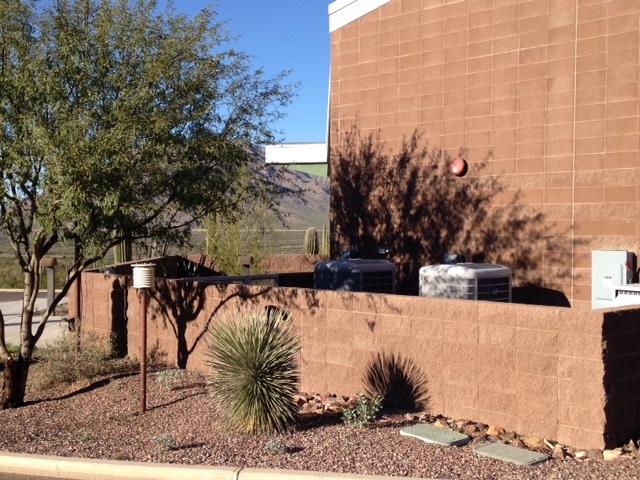 Picacho 8 SE has it all: brick building, parking lot, road, and air conditioner heat exchangers within a few feet of the MMTS sensor. Outside of how to accurately measure the earth’s atmosphere to detect the supposed anthropogenic global warming signal, there is a mountain of damning evidence relating to the fraudulent tampering of the global temperature record by climate activist government agencies – NASA and NOAA. I highly recommend visiting Tony Heller’s site “Real Climate Science” for a comprehensive understanding of the blatant manipulation of NASA’s GISS temp data set to fit the global warming narrative. 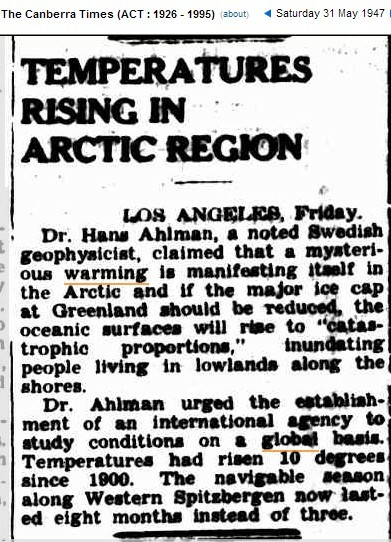 The Arctic warming from 1910 to 1940 completely wrecks the alarmist’s story. Fortunately for them, they control the NASA and NOAA data and can tamper with it any way they want to produce data which matches their theory. They are constantly cooling the past in Iceland, with their latest handiwork shown below. What they can’t tamper with is the written record of eyewitnesses. The other issue with surface-based thermometer readings is that you can travel hundreds if not thousands of kilometres without finding a thermometer nearby. The Arctic region is a great example of this, as well the oceans which cover 70 percent of the planet. 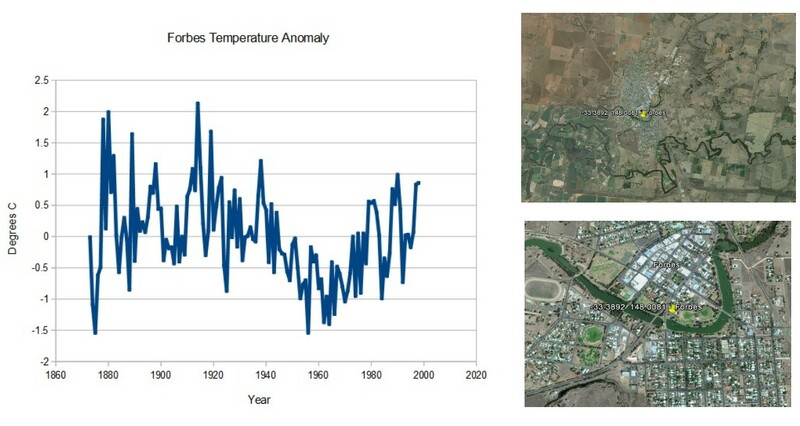 Measuring global temperatures: Satellites or thermometers? The official global temperature numbers are in, and NOAA and NASA have decided that 2015 was the warmest year on record. Based mostly upon surface thermometers, the official pronouncement ignores the other two primary ways of measuring global air temperatures, satellites and radiosondes (weather balloons). The fact that those ignored temperature datasets suggest little or no warming for about 18 years now, it is worth outlining the primary differences between these three measurement systems. 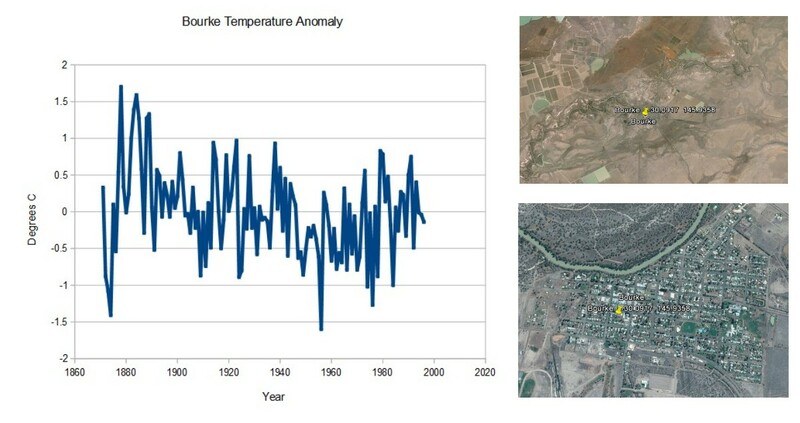 The primary ways to monitor global average air temperatures are surface based thermometers (since the late 1800s), radiosondes (weather balloons, since about the 1950s), and satellites measuring microwave emissions (since 1979). Other technologies, such as GPS satellite based methods have limited record length and have not yet gained wide acceptance for accuracy. While the thermometers measure near-surface temperature, the satellites and radiosondes measure the average temperature of a deep layer of the lower atmosphere. Based upon our understanding of how the atmosphere works, the deep layer temperatures are supposed to warm (and cool) somewhat more strongly than the surface temperatures. In other words, variations in global average temperature are expected to be magnified with height, say through the lowest 10 km of atmosphere. We indeed see this during warm El Nino years (like 2015) and cool La Nina years. The satellite record is the shortest, and since most warming has occurred since the 1970s anyway we often talk about temperature trends since 1979 so that we can compare all three datasets over a common period. Temperatures of the deep ocean, which I will not address in detail, have warmed by amounts so small — hundredths of a degree — that it is debatable whether they are accurate enough to be of much use. Sea surface temperatures, also indicating modest warming in recent decades, involve an entirely new set of problems, with rather sparse sampling by a mixture of bucket temperatures from many years ago, to newer ship engine intake temperatures, buoys, and since the early 1980s infrared satellite measurements. Since 1979, it is generally accepted that the satellites and radiosondes measure 50% less of a warming trend than the surface thermometer data do, rather than 30-50% greater warming trend that theory predicts for warming aloft versus at the surface. This is a substantial disagreement. 3) All data are largely correct, and are telling us something new about how the climate system operates under long-term warming. First let’s look at the fundamental basis for each measurement. Roughly speaking, “temperature” is a measure of the kinetic energy of motion of molecules in air. Unfortunately, we do not have an easy way to directly measure that kinetic energy of motion. Instead, many years ago, mercury-in-glass or alcohol-in-glass thermometers were commonly used, where the thermal expansion of a column of liquid in response to temperature was estimated by eye. These measurements have now largely been replaced with thermistors, which measure the resistance to the flow of electricity, which is also temperature-dependent. 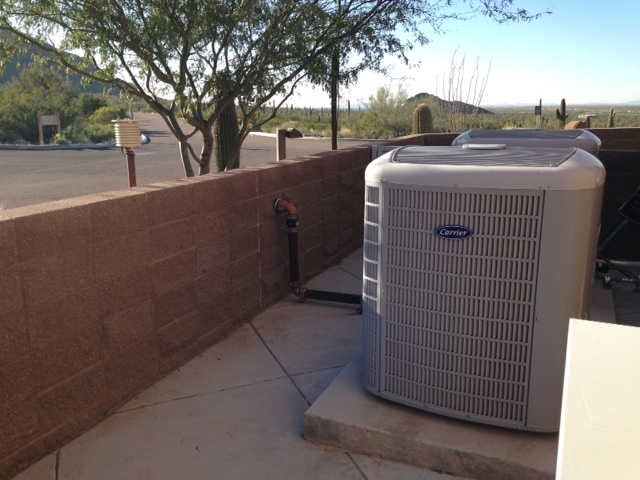 Such measurements are just for the air immediately surrounding the thermometer, and as we all know, local sources of heat (a wall, pavement, air conditioning or heating equipment, etc.) can and do affect the measurements made by the thermometer. 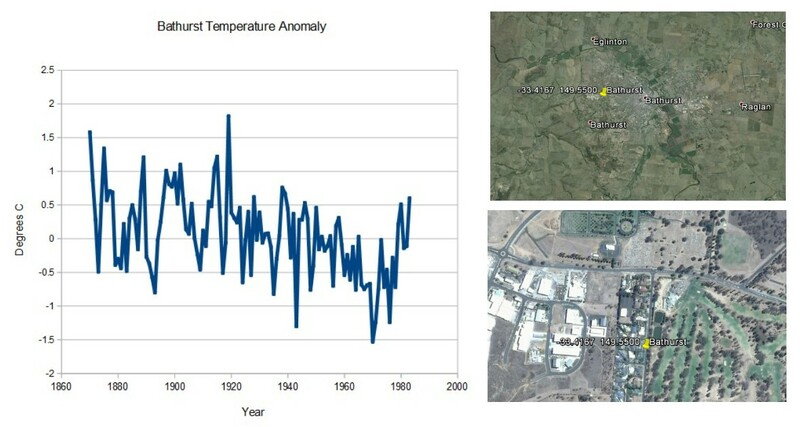 It has been demonstrated many times that urban locations have higher temperatures than rural locations, and such spurious heat influences are difficult to eliminate entirely, since we tend to place thermometers where people live. Radiosondes also use a thermistor, which is usually checked against a separate thermometer just before weather balloon launch. As the weather balloon carries the thermistor up through the atmosphere, it is immune from ground-based sources of contamination, but it still has various errors due to sunlight heating and infrared cooling which are minimized through radiosonde enclosure design. Radiosondes are much fewer in number, generally making hundreds of point measurements around the world each day, rather than many thousands of measurements that thermometers make. Satellite microwave radiometers are the fewest in number, only a dozen or so, but each one is transported by its own satellite to continuously measure virtually the entire earth each day. Each individual measurement represents the average temperature of a volume of the lower atmosphere about 50 km in diameter and about 10 km deep, which is about 25,000 cubic kilometers of air. About 20 of those measurements are made every second as the satellite travels and the instrument scans across the Earth. The satellite measurement itself is “radiative”: the level of microwave emission by oxygen in the atmosphere is measured and compared to that from a warm calibration target on the satellite (whose temperature is monitored with several highly accurate platinum resistance thermometers), and a cold calibration view of the cosmic background radiation from space, assumed to be about 3 Kelvin (close to absolute zero temperature). A less sophisticated (infrared) radiation temperature measurement is made with the medical thermometer you place in your ear. So, Which System is Better? The satellites have the advantage of measuring virtually the whole Earth every day with the same instruments, which are then checked against each other. But since there are very small differences between the instruments, which can change slightly over time, adjustments must be made. Thermometers have the advantage of being much greater in number, but with potentially large long-term spurious warming effects depending on how each thermometer’s local environment has changed with the addition of manmade objects and structures. Virtually all thermometer measurements require adjustments of some sort, simply because with the exception of a few thermometer sites, there has not been a single, unaltered instrument measuring the same place for 30+ years without a change in its environment. When such rare thermometers were identified in a recent study of the U.S., it was found that by comparison the official U.S. warming trends were exaggerated by close to 60%. Thus, the current official NOAA adjustment procedures appear to force the good data to match the bad data, rather than the other way around. Whether such problem exist with other countries data remains to be seen. Changes in radiosonde design and software have occurred over the years, making some adjustments necessary to the raw data. For the satellites, orbital decay of the satellites requires an adjustment of the “lower tropospheric” (LT) temperatures, which is well understood and quite accurate, depending only upon geometry and the average rate of temperature decrease with altitude. But the orbital decay also causes the satellites to slowly drift in the time of day they observe. 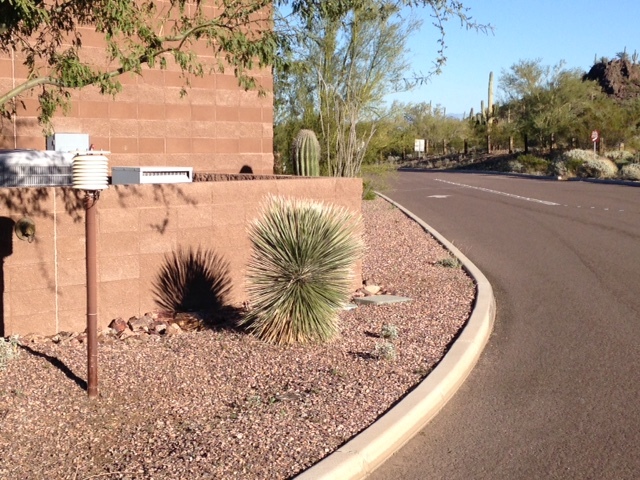 This “diurnal drift” adjustment is less certain. Significantly, very different procedures for this adjustment have led to almost identical results between the satellite datasets produced by UAH (The University of Alabama in Huntsville) and RSS (Remote Sensing Systems, Santa Rosa, California). The fact that the satellites and radiosondes – two very different types of measurement system — tend to agree with each other gives us somewhat more confidence in their result that warming has been much less than predicted by climate models. But even the thermometers indicate less warming than the models, just with less of a discrepancy. And this is probably the most important issue…that no matter which temperature monitoring method we use, the climate models that global warming policies are based upon have been, on average, warming faster than all of our temperature observation systems. I do believe “global warming” has occurred, but (1) it is weaker than expected, based upon independent satellite and weather balloon measurements; (2) it has been overestimated with poorly adjusted surface-based thermometers; (3) it has a substantial natural component; and (4) it is likely to be more beneficial to life on Earth than harmful. 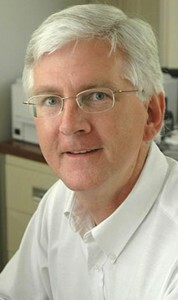 Roy W. Spencer is a Principal Research Scientist at the University of Alabama in Huntsville. He received his Ph.D. in Meteorology from the University of Wisconsin in 1981. As Senior Scientist for Climate Studies at NASA’s Marshall Space Flight Center, Dr. Spencer previously directed research into the development and application of satellite passive microwave remote sensing techniques for measuring global temperature, water vapor, and precipitation. He is co-developer of the original satellite method for precision monitoring of global temperatures from Earth-orbiting satellites. Dr. Spencer also serves as U.S. Team Leader for the Advanced Microwave Scanning Radiometer for EOS (AMSR-E) flying on NASA’s Terra satellite. He has authored numerous research articles in scientific journals, and has provided congressional testimony several times on the subject of global warming.